• Italian slim fit; small! Blue woolen overcoat for men. 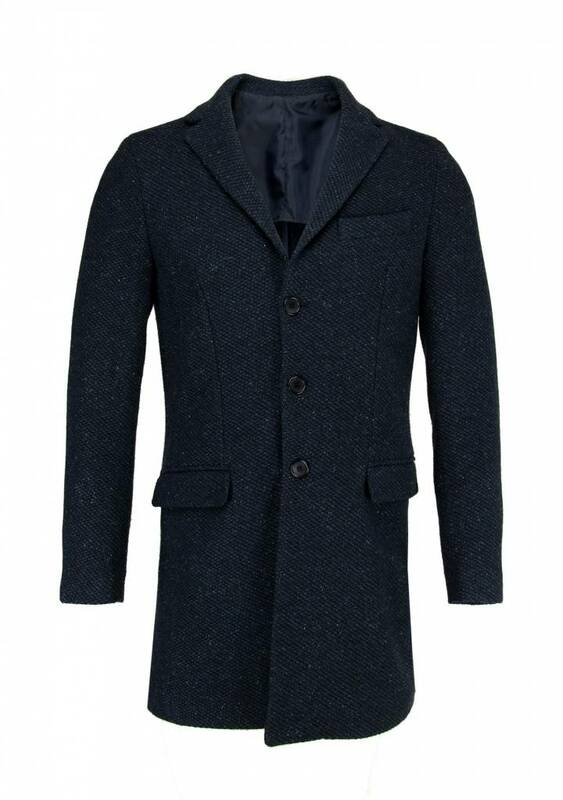 This classic men's coat is made from a very nice wool blend and is handmade in Italy. 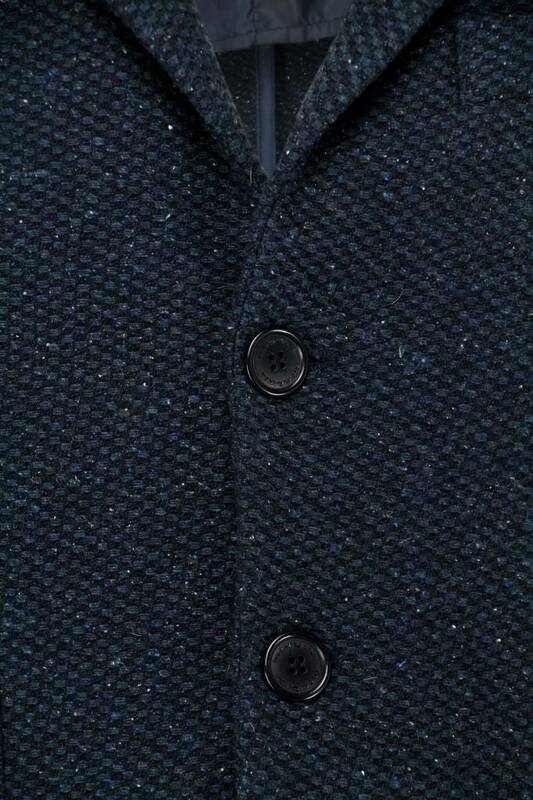 The coat has a distinctive pattern in the weaving and has all small specks in the fabric. 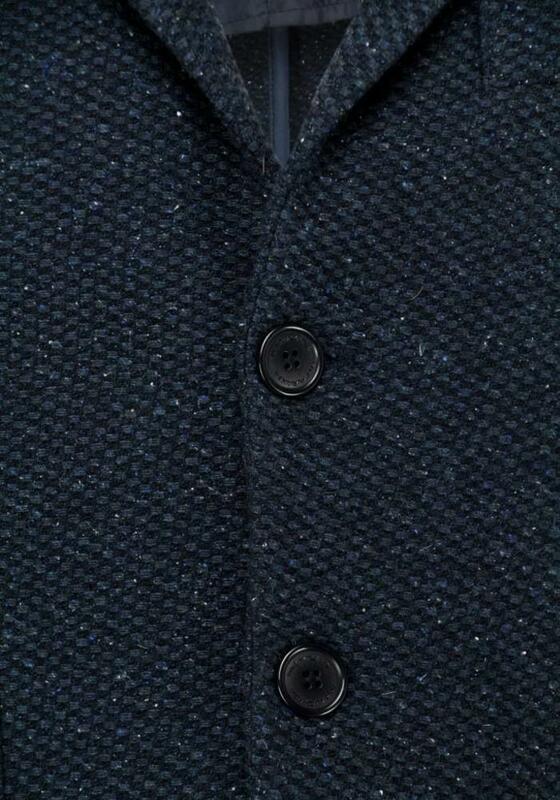 This Paul Miranda coat has two flap pockets on the outside and a chest pocket. Inside is an extra pocket for a mobile or wallet for example. 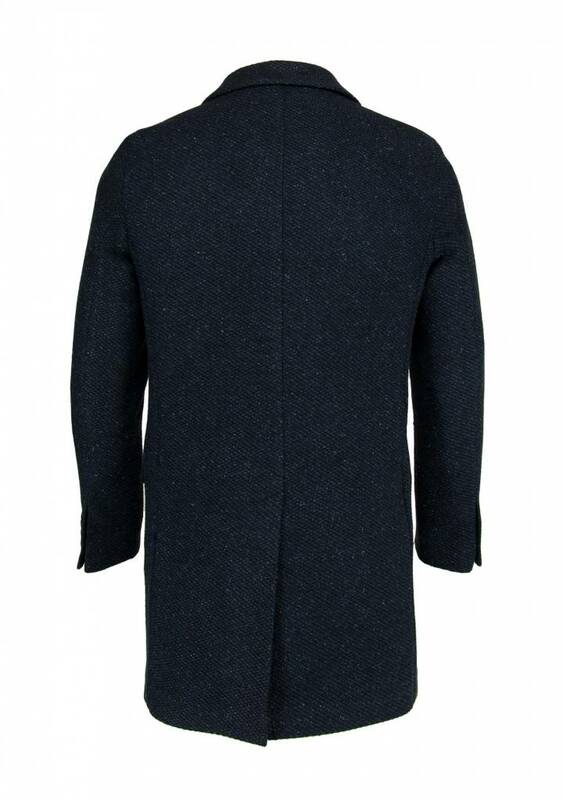 This overcoat is unlined but warm due to its high wool percentage. Ideal to wear over a suit or a nice jumper. The coat has a slim fit fit and is quite small. We recommend to take a size bigger! Made of 60% wool, 5% polyester and 5% polyamide.